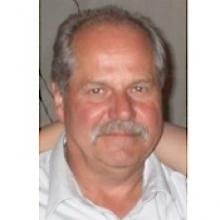 ROBERT WILLIAM JACK DUSKO June 4, 1954 - December 5, 2014 It is with great sorrow to announce the passing of Bob Dusko, on Friday December 5 2014 at St. Boniface Hospital. Bob battled tragically with lung cancer with a brave face and strong attitude. Bob is survived by his loving children Sean Dusko and Megan Dusko (Kyle Baldwin) and his ex wife Kim Dusko, and extended family and friends of which Bob had many. Although Bob's sun no longer shines, his shadow and presence will be felt forever. A celebration of life and memorial service will be held at Crescentwood Community Centre at 1170 Corydon Ave. in Winnipeg, MB on Wednesday, December 10 at 12:00 p.m. All Winnipeg Worms hockey team welcome.